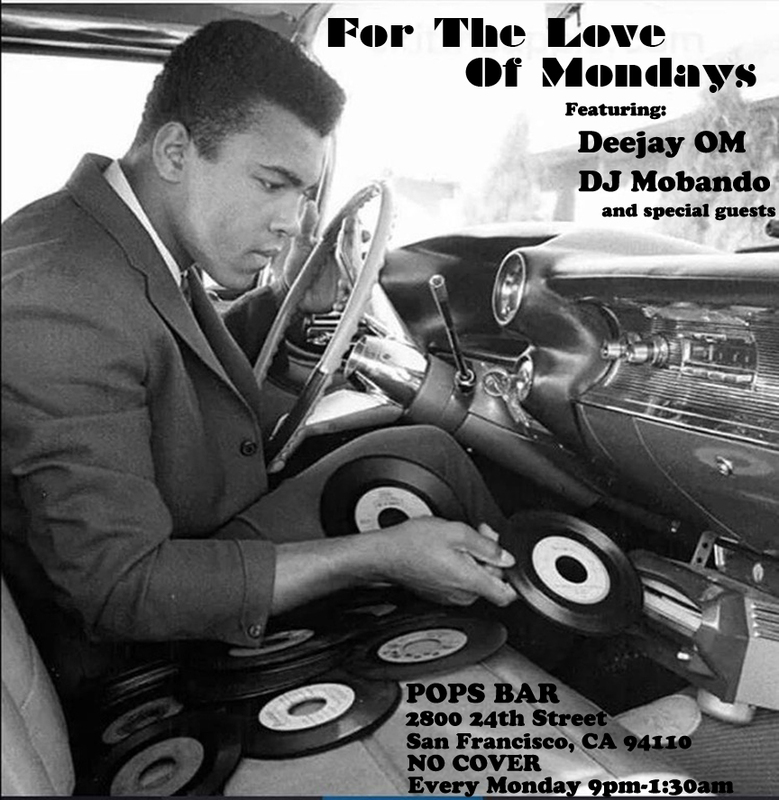 DJ Om is a native of Berkeley CA, and is likely the most knowledgeable 45 collector you will ever come across. He loves to put the needle to the groove, and excels at finding that super jam that you always wish you could hear but never knew existed. Expect a heavy dose of musical education in his sets. Join us for a night of post-punk, new wave, and synth-pop jams every 4th Thursday at Pops Bar. Late-night soul & R&B throwbacks after midnight. A dance party playing 80′s 90′s 2000′s Rap R&B Afrobeat Reggae hits. Restoring the feeling and breaking records all night!